Many farms and organizations throughout North America are interested in the social, economic, and environmental benefits of community-based farming. Innovative programs and food system enterprises aimed at enabling community-based farming include examples such as Intervale (Burlington, Vermont), Serenbe (Atlanta, Georgia), 21 Acres (Woodinville, Washington), Zenger Farm (Portland, Oregon), Fairview Gardens (Golita, California) and Prairie Crossing (Grayslake, Illinois). More recently, new community-based farms such as the Black Creek Community Farm in Toronto have been planned and are currently being launched. The Delta Community-Based Farm District Plan – developed by Tara Moreau, Owner of Grow Moreau Consulting, and Kimberley Hodgson, Founder of Cultivating Healthy Places – provides an example of how a community-based farm can be developed in southern British Columbia. Embraces the local and regional context. Community-based farming generally occurs at a smaller-scale, allowing for a greater diversity of farm types; depends on cooperative government systems, such as shared facilities and equipment, for economic short-term feasibility and long-term viability; encourages interaction between farmers and residents; and provides economic activity through direct market sales neighborhood farmers markets and other supportive economic infrastructure. The Southlands property, a tract of land in the southeast quadrant of Tsawwassen in Delta, British Columbia, is currently owned by Century Group Lands Corporation. In October 2006, Century Group outlined a broad, sustainable land use vision for Southlands. To achieve this vision, Century Group’s proposal includes mixed-use development on 20% of the site, and agriculture, natural habitat, and recreation uses on the remaining 80%. This proposal dedicates 279.2 acres for agricultural uses. Exploring the potential economic, ecological and social benefits of the farm types to the immediate and surrounding communities. The Delta Community-Based Farm District has the potential to provide a number of health, social, economic, and ecological benefits to Delta residents and surrounding communities, including: increased access to healthy food by increasing the production of a diverse range of fruits and vegetables; empowerment and mobilization of new farmers by providing access to land, education and farming communities; and ecological stewardship by ensuring that farmers meet specific sustainability standards. An exploration of this specific scenario reveals significant economic benefits for Delta and its residents. These estimated annual benefits include over $2.39 million per year in net revenue for farmers, approximately 26 full-time jobs per year created, and $281,645 per year in net revenue for the proposed governing non-profit organization. Total net revenue for the 30-year time period would be approximately $2.8 million for the proposed governing non-profit organization. Startup costs for this scenario would be $1.9 million for farmers and $1.6 million for the governing entity. This scenario demonstrates how such a community-based farming endeavor could be economically self-sufficient after only ten years of operation and serve as an innovative model for community-based farming in Metro Vancouver and beyond. For more information about the Delta Community-Based Farm District Plan and to view a copy of the full plan, click here. Tara Moreau, PhD. Dr. Moreau is a sustainable agriculture scientist. Over the past decade, her research has focused on the science, planning, and policy of sustainable food systems. As the sole proprietor of Grow Moreau, her expertise around climate change, urban agriculture and integrated pest management give her a diverse background into the implementation of sustainable agriculture and food systems. Kimberley Hodgson, MURP, MS, AICP, RD. 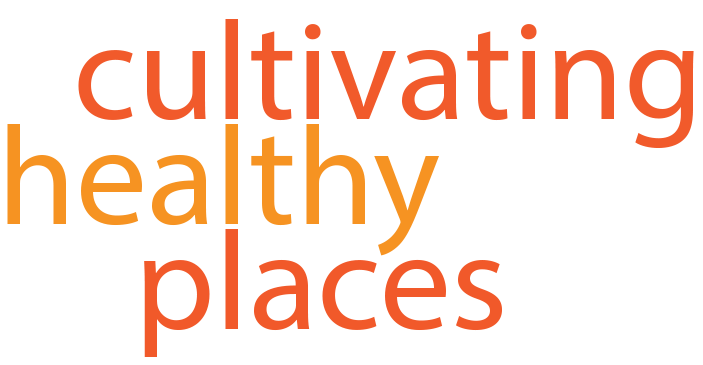 Hodgson is the founder of Cultivating Healthy Places, an international consulting business specializing in community health, social equity, and sustainable food systems planning. As a certified planner and health professional, her work focuses on conducting policy-relevant research and providing technical assistance to the public and private sectors related to the design and development of healthy, sustainable places. This entry was posted in Food Systems and tagged agriculture plan, british columbia, community-based farming, delta, food systems, metro vancouver, southlands, sustainable agriculture, urban agriculture on November 30, 2012 by kimhodgson.